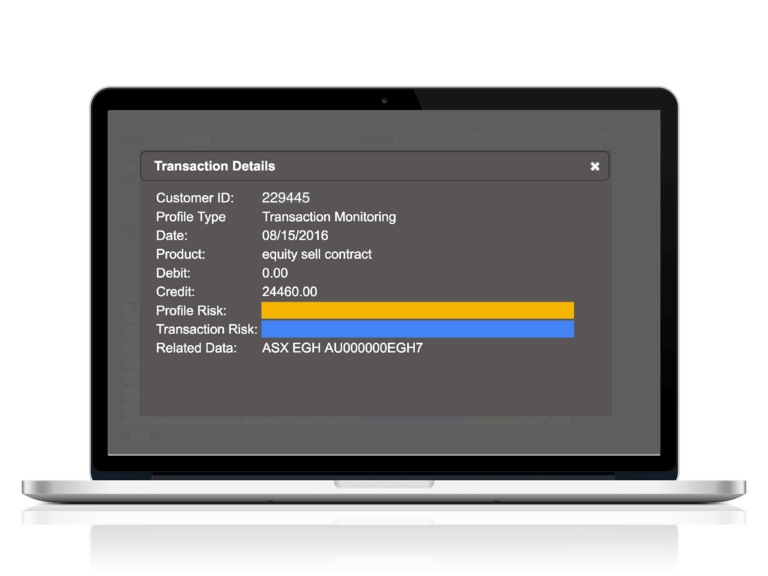 We provide one of the most affordable transaction monitoring systems on the market. 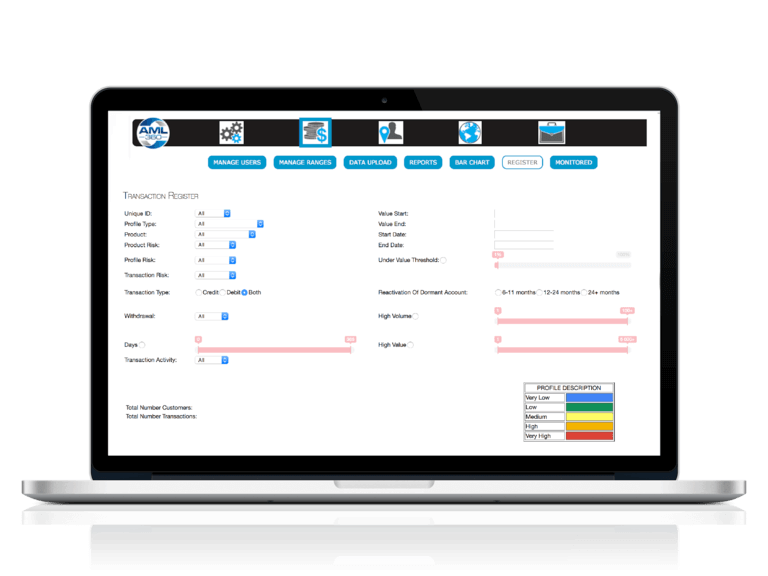 Not only does our platform have a user friendly interface, it can also be set-up for your business within hours. Select which rules you would like to apply from the filters. This is an end-to-end work process flow for customer account monitoring. and ongoing due diligence. 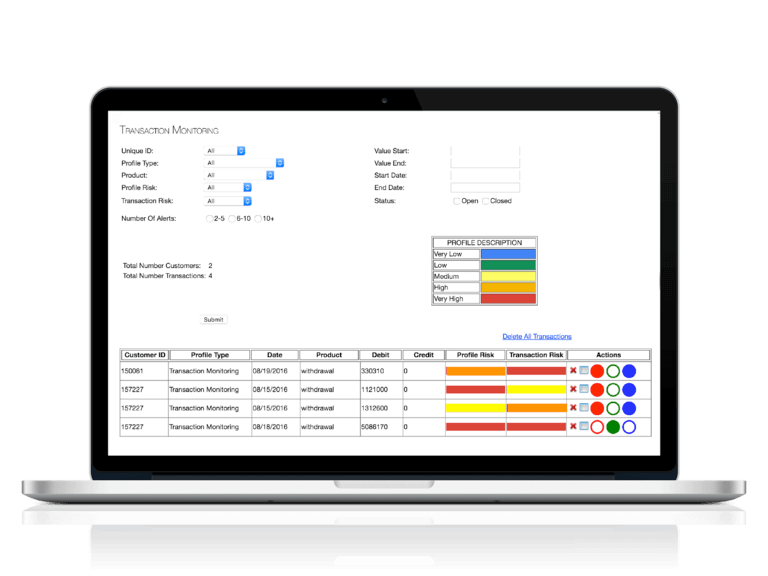 Use the bar chart visual display to easily identify higher risk transactions. 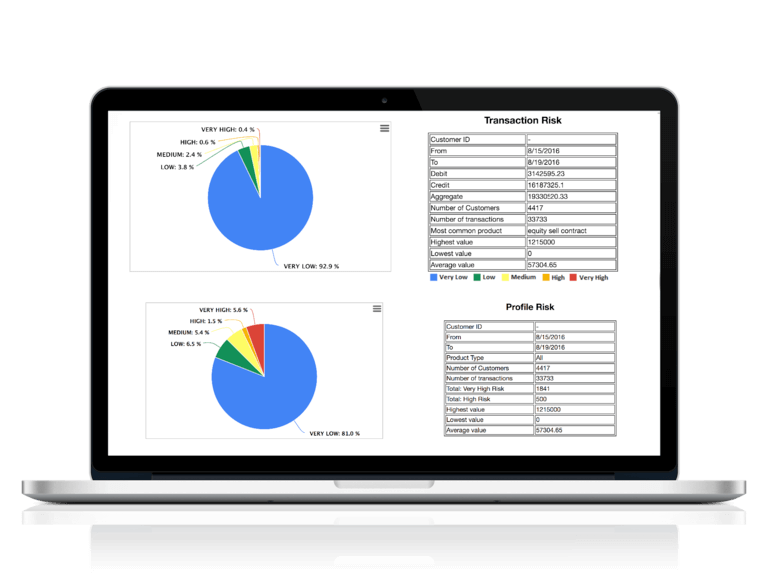 The piecharts give you an instant snap-shot of risk status across all customer transactions. Simple execution is through a spreadsheet upload. All rules and risk status are automatically generated. From the Monitor Register, enter case management file notes. 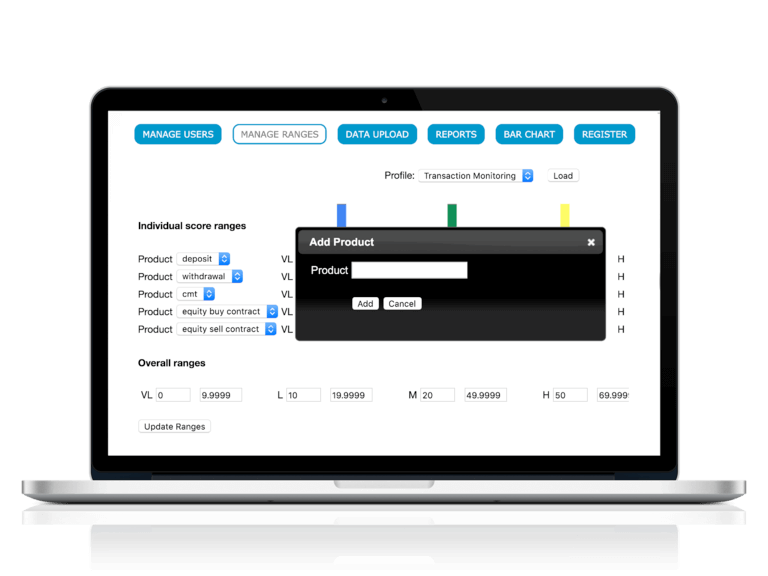 Your transaction monitoring platform meets the regulatory risk based approach. 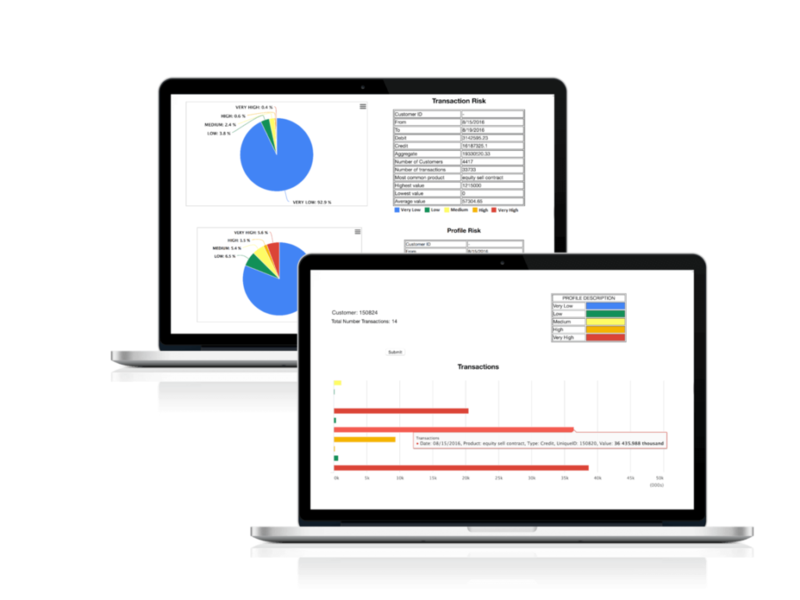 Customer account activity is summarised into risk charts and data tables. 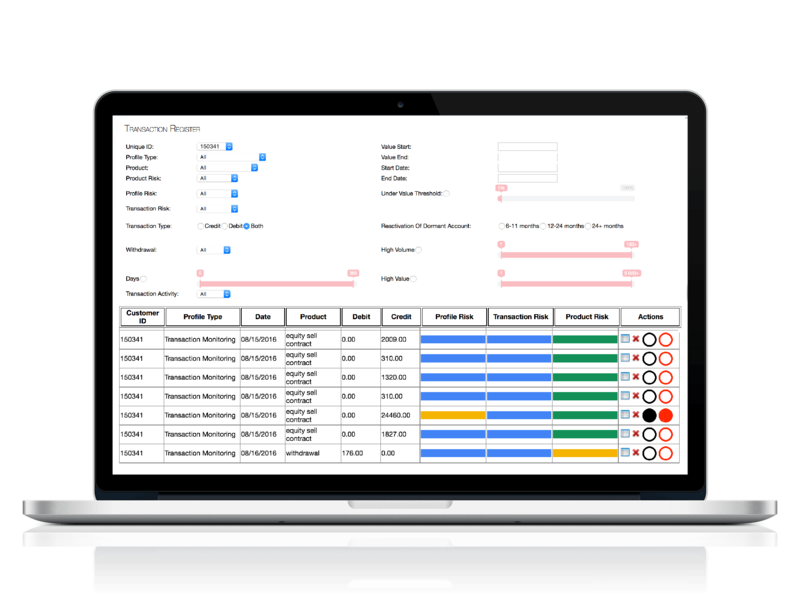 You can use the reports page to obtain a snap-shot view on risk status across your entire customer base or drill down to individual customers. Any type of product or service and any number of products or services can be monitored. 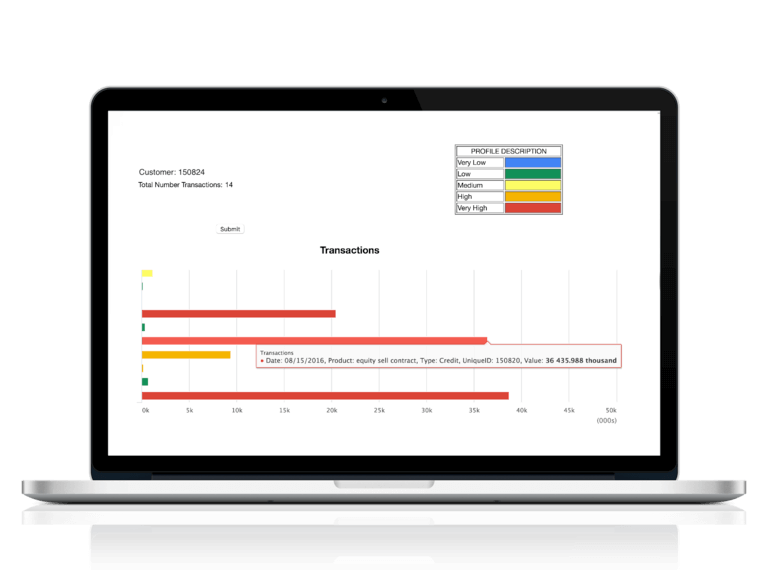 The bar chart is a simple way to view transaction activity within a customer’s account. You get to choose which filters to apply. Depending on your business risk profile your filters can be simple or advanced. The customer register provides results of Profile risk, Transaction risk and Product risk. 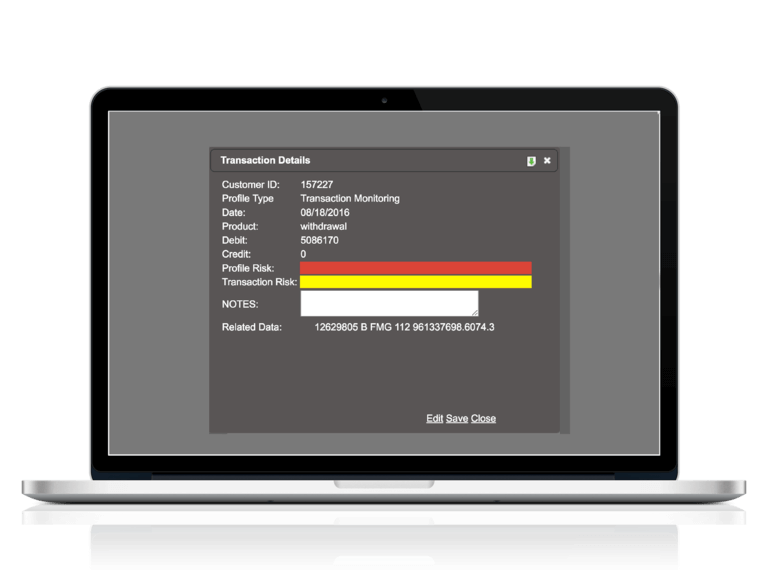 Any transactions requiring additional investigation can be pushed through to the Monitor register. Selecting the file icon from the Customer Risk Register will display all relevant data related to individual transactions. There is no limit to the type of transaction data you can incorporate to your monitoring dashboard. The Monitor Register uses indicators to let you know what transactions are yet to be investigated and those transactions that are open or closed. We ensure you meet regulatory expectation for recording determinations made following red flag activity.